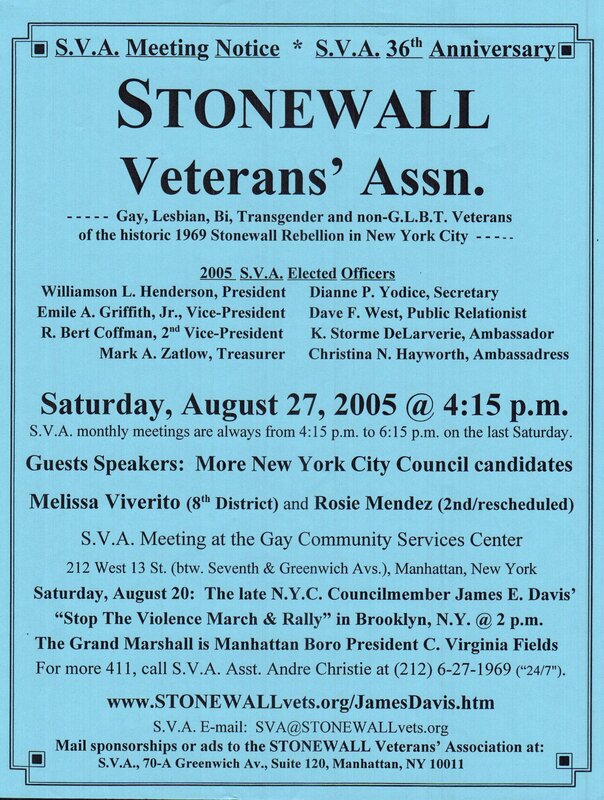 Queerly, although Melissa "Meli-Mar" Viverito ran into several SVA-ers, including the S.V.A. director Willson Henderson and the S.V.A. general manager AnDre Christie, at several New York City Public Advocate P/A forums, including at the Manhattan G.L.B.T. Community Center, neither she nor any of her campaign staffers ever contacted the S.V.A. (although they lied and said they would) -- much less take a campaign ad on the popular S.V.A. website. All that was quite foolish -- Meli-Mar finished a distant third place (with merely 11% of the vote). In sharp contrast, for example, several P/A candidates attended S.V.A. monthly meetings in January or February. In sharpest contrast, one had a sit-down, productive and interesting supper meeting (his smart idea) with S.V.A. officials at a City Hall restaurant of his choosing. His name is Jumaane -- the P/A winner! 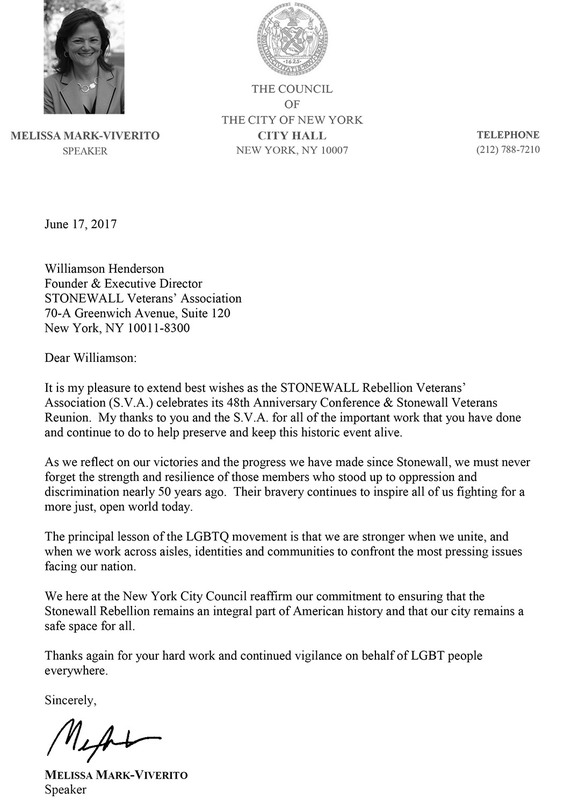 The STONEWALL Rebellion Veterans Association receives the annual staff-penned, rubber-stamped letter of recogniton and alleged appreciation from Council Speaker Melissa Viverito; however, the envelope is always void of a check -- something that would actually help the non-profit, with bills, S.V.A. It's an ungrateful gesture particularlyu for the only G.L.B.T. organization that wanted her in the NYC Council in the first place and the only G.L.B.T. group that actually made it a reality! [PLACE] Meli-Mar's 2014 letter here! 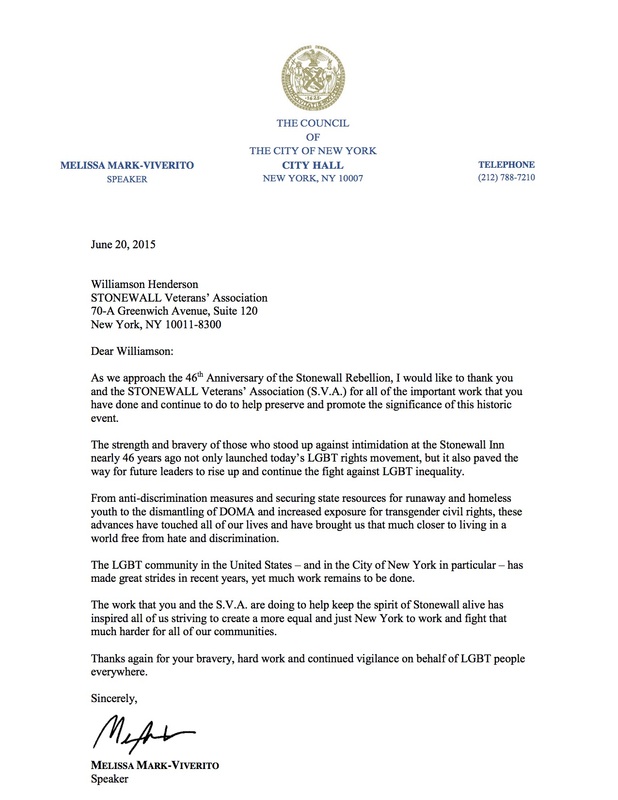 Councilwoman Melissa M. Viverito's Letter of Praise to the S.V.A. 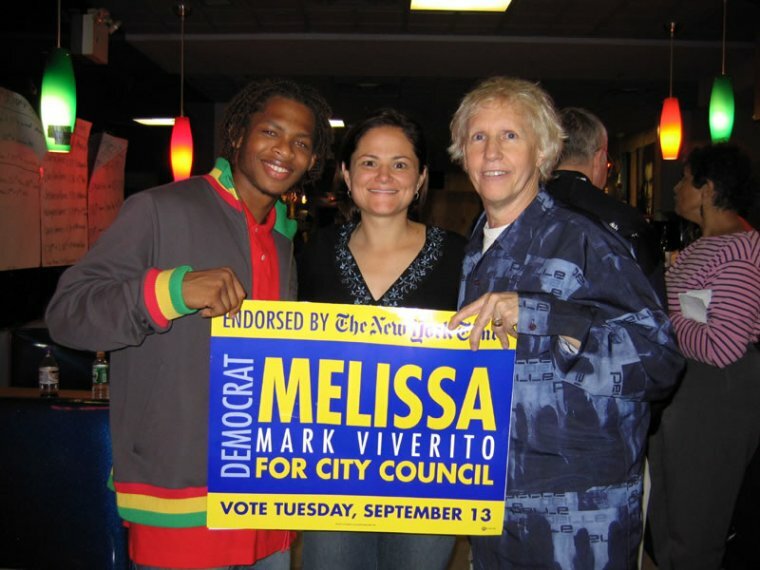 2008 Letter from Councilmember Melissa Vee to the S.V.A. Letter from Councilmember Melissa will be posted! 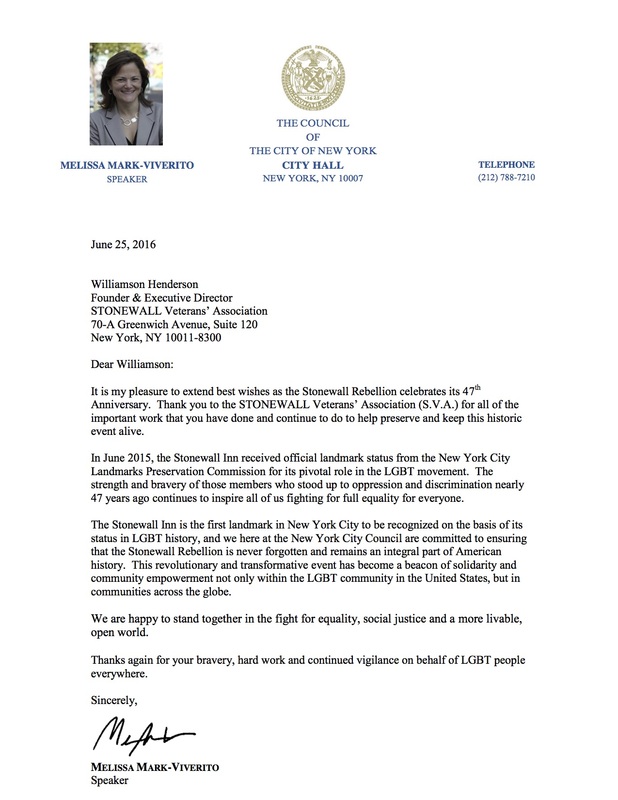 Proclamation from Councilmember Viverito to be posted! The proclamation has been size-reduced and copied and mailed to members.